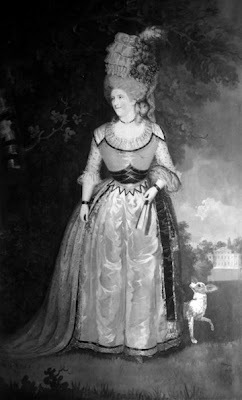 Born at Streatlam Castle in Streatlam and Stainton, County Durham, on 24 February 1749, Mary Eleanor Bowes was the daughter of George Bowes, a wealthy coal magnate. He died when Mary was only 11, leaving her a fortune estimated at between £600,000 and £1,040,000. Overnight, the young girl became one of the richest, if not the richest, heiresses in England. Possessing such a fortune could easily have gone to her head but instead, Mary, an intelligent and intellectual girl unafraid to speak her mind, decided to invest her money in botany, for which she had a huge passion. For instance, she built experimental hothouses where she could cultivate exotic plants. Being wealthy and beautiful, it's not surprising that Mary attracted many suitors to her hand. She seems to have encouraged the attentions of John Stuart, the eldest son of Lord Bute, then Prime Minister, and of Campbell Scott, the younger brother of the Duke of Buccleuch, but in the end she didn't choose either of them. Instead, she became engaged, aged only 16, to John Lyon, the 9th Earl of Strathmore and Kinghorne. 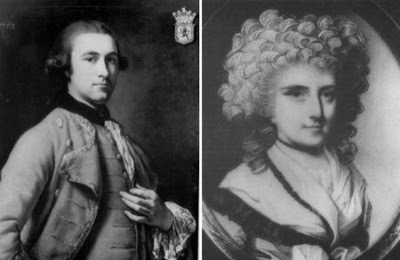 The couple got married on 24 February 1767, Mary's 18th birthday. Upon the marriage, the earl assumed his wife's family name, as stipulated by her father's will. Some of their children, would, however, choose the surname Bowes-Lyon. Mary gave birth to five children in six years: Maria Jane, John, 10th Earl of Strathmore and Kinghorne, Anna Maria, George and Thomas, 11th Earl of Strathmore and Kinghorne. Mary's husband used her money to restore his family seat, Glamis Castle. In the meantime Mary was busy with her botany projects, financing the explorer William Paterson's expedition to the Cape in 1777 where he collected plants for her, and in 1769, also self-published The Siege Of Jerusalem, a poetical drama. A few years after their marriage, the Earl contracted tuberculosis. As his health weakened, Mary started taking lovers. She became a widow on 7 March 1776, when the Earl died at sea on his way to Portugal. 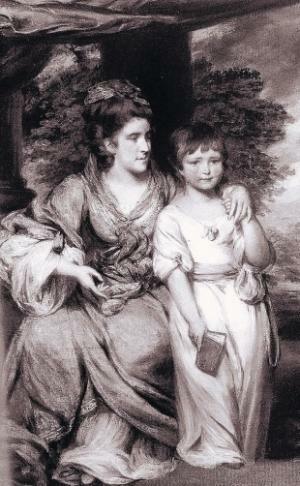 At the time, Mary was expecting a child by her lover, George Gray. Although she was now free to marry him, she was reluctant to do so. Not only she would lose her high rank (Grey belonged to an inferior social class), but he had also squandered away his own fortune. It seems that Mary had an abortion that time, but when she got pregnant again, she finally consented to marry Grey. The marriage, however, never took place. Mary met the charming Andrew Robinson Stoney, an Anglo-Irish adventurer. Andrew had already been married to a wealthy woman before and it was rumored that her death was hastened by the cruel treatment she received from him. But of course, he was careful to conceal this from Mary. Attracted by her fortune, Andrew staged a duel with Revd. 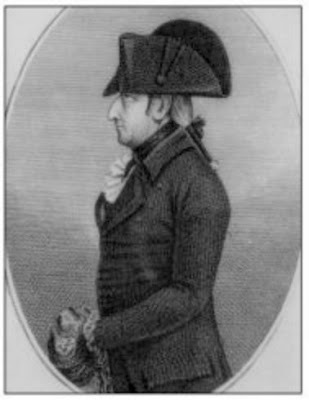 Henry Bate, the editor of The Morning Post, a newspaper which often published seedy and scurrilous articles about Mary, which were actually written by Andrew himself! Stoney pretended to be mortally wounded and begged Mary to grant his dying wish: to marry him. Mary, believing the man was really dying to defend her honour, agreed. Carried on a stretcher down the aisle, Stoney married Mary at St James' Church on 17 January 1777. Shortly afterwards, the groom miraculously recovered. And started showing his true colours. After taking his wife's name, he tried to take control of her fortune too, as was customary at the time. But the clever Mary had made a secret prenuptial agreement to safeguard the profits of her estate for her own use. However, Stoney forced her to sign a revocation handing control to him. He then abused Mary, both physically and mentally. He beat her, cheated on her with a string of women (it was rumoured that he invited prostitutes at their home and raped their maids), controlled everything she did, opened her mail and sold some of her hothouses to pay off his gambling debts. Like this weren't enough, poor Mary was forced to write a memoir in which she had to hide about her past life so her husband could have something to blackmail her with if he so pleased! 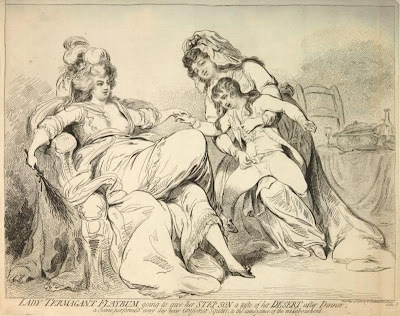 In the meantime, she had given birth to two children, Mary, who was probably Grey's daughter, and William. In 1785, Mary, with the help of her maids, finally managed to escape from Stoney's clutches and filed for divorce. This wasn't enough to stop Stoney, though. Like many violent and possessive men, he became more and more obsessed with his victim and started stalking her and hired people to watch her every move when he couldn't. He even commissioned seedy and malicious prints to damage her reputation. Then, one day, Stoney assaulted and kidnapped Mary in her own coach. For eleven days, while they were travelling all over the country, Stoney repeatedly beat and tortured Mary. News of the abduction spread rapidly and eventually Stoney was captured and Mary rescued. The divorce case, with the additional legal battles regarding these incidents, were sensational. Although the public initially felt sorry for Mary, they soon turned on her when news of her affairs became known. Of course, Stoney added fuel to the fire, making a series of seedy claims about Mary, even purchasing shares in a newspaper so he could print the memoir he had forced her to write! The public also didn't like the fact that Mary had tried to prevent her husband from gaining access to her fortune. Mary was physically safe, but her reputation never recovered. She moved to Stourfield House, an isolated mansion, where she led a quiet life, with her daughters Anna Maria and Mary. She shied away from people, preferring instead to spend time with her dogs. She loved them so much that she even had hot dinners cooked daily for them! 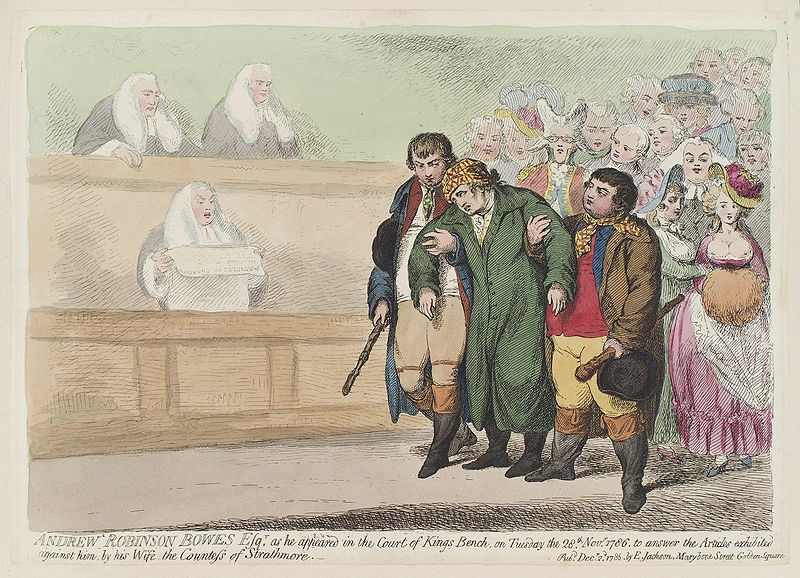 Stoney and his accomplices were sentenced to three years in prison for Mary's abduction. The divorce case, however, was still pending when Mary died on April 28 1800. She was buried in Westminster Abbey. 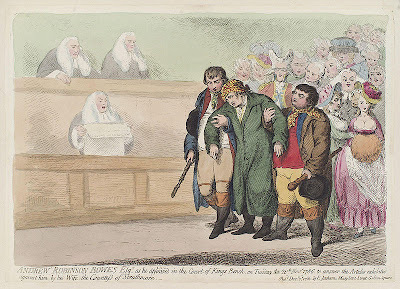 Stoney was then released from prison and tried to have Mary's will invalidated so that he could get his hands on her fortune, but lost the case.